Location economy, constitution status etc. Premier Fahie Affirms His Commitment To The People Of The Virgin Islands Following Ministerial Appointments. 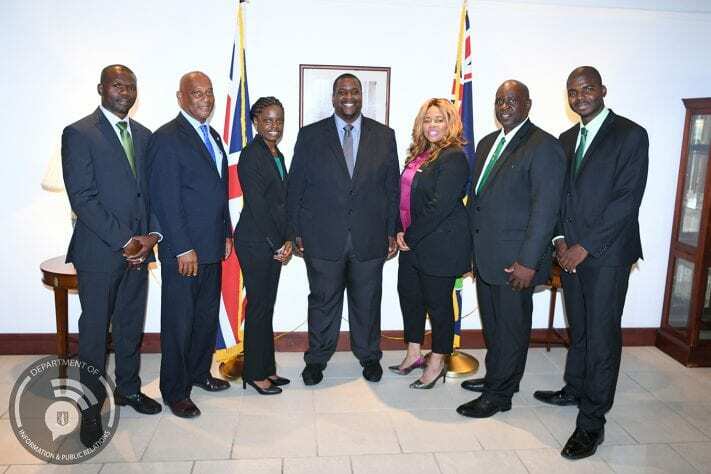 Following the swearing in of his Cabinet and Junior Ministers today, March 1, Premier the Honourable Andrew A. Fahie is reinforcing his commitment to the people of this Territory. The appointments are as follows: Premier and Minister of Finance, Honourable Andrew A. Fahie; Minister for Health & Social Development, Honourable Carvin Malone; Minister for Transportation, Works & Utilities, Honourable Kye Rymer; Minister for Natural Resources, Labour & Immigration, Honourable Vincent Wheatley; Minister for Education, Culture, Youth Affairs, Fisheries & Agriculture, Dr. the Honourable Natalio Wheatley; Junior Minister for Trade and Economic Development, Honourable Sharie de Castro; and Junior Minister for Tourism, Honourable Shereen Flax-Charles. “The BVI is blessed with untold potential, talented people and of course some of the most beautiful natural environments that can be found anywhere in the world. Your new Government will protect, harness, develop and promote all that is good about the BVI, both domestically but also on the international stage,” he continued. Premier Fahie said that a sound economy will be vital for us to be able to implement our plans. Our financial services industry was vital to the recovery of Government revenues following the hurricanes at a time when the tourism industry had been devastated. It faces continued challenges in the international arena and we will continue to work closely with our industry and regulators to ensure that it continues to thrive. Following passage of the Economic Substance Act, we expect to see many more opportunities for employment in the sector and will be discussing with the industry how these can be maximized to the benefit of BVIslanders. © BVI London Office. All right reserved.